If your employer asked you to move to another state for the sake of your job, would you do it? Whether we liked it or not, many of us would accept the move as a necessary (albeit inconvenient) hurdle for our own advancement, going along with the request because that’s “how things are done.” But when Geoff Carter was faced with the same decision, he chose to carve out a new path for himself—and create opportunities for an entire community in the process. In 2009, Geoff and his four business partners parted ways with their employer when it became clear that uprooting their families from Tupelo, Mississippi would be the only way they could remain with the company. He felt so committed to his clients, he knew in his gut—against most conventional wisdom—that staying put was in everyone’s best interest. “We saw many untapped opportunities in Mississippi and other areas of the Southeast and thought we could make a difference if we stayed in North Mississippi,” Geoff says, reflecting on this time. That same year, Hyperion Technology Group was born. “Our original vision (which continues today) was to create an engineering services company that specializes in high-end sensors and sensor systems that would be used to protect or enhance the lives of the people who used our technology,” Geoff explains. He and his partners started Hyperion with one employee in November of 2009, working around the clock from the Renasant Center for Ideas (RCFI), the Tupelo small-business incubator. Within two fast-and-furious years of hustle, dreaming, and innovation, they outgrew that space, purchased their own building, and have become the largest company to ever come out of the RCFI. While I wasn’t able to meet Geoff in person, his sincere heart for people rang through every interaction and communication. It’s so amazingly, inspiringly evident that his greatest hope is that they could use their success and their technology to better individual lives, the community of Tupelo, and beyond. Currently in development is a mouthguard product called BrainLinc, originally conceived by Dr. Sonny Rush of Rush Foundation Hospital in Meridian, Mississippi. The idea is that the mouthguard sensor could monitor head impact and movement and predict the likelihood of the user having a concussion after an impact. Once released, this could help substantially improve the safety and post-incident care of athletes and military members alike. But one of Geoff’s favorite products is their FireFLY hostile threat detection system, which can detect and alert law enforcement of active shooters. “It has the most potential to protect the most people,” he explains, keeping people at the center of his why. A lesser known application of this same technology is as an anti-poaching system for wildlife preserves, which has the capacity to take his dream for positively impacting communities to an international stage. With all the excitement and large-scale attention that comes with being on the cutting edge of protective technology, Geoff has certainly not lost sight of home. His passion for Tupelo is, after all, why they stayed in the first place. 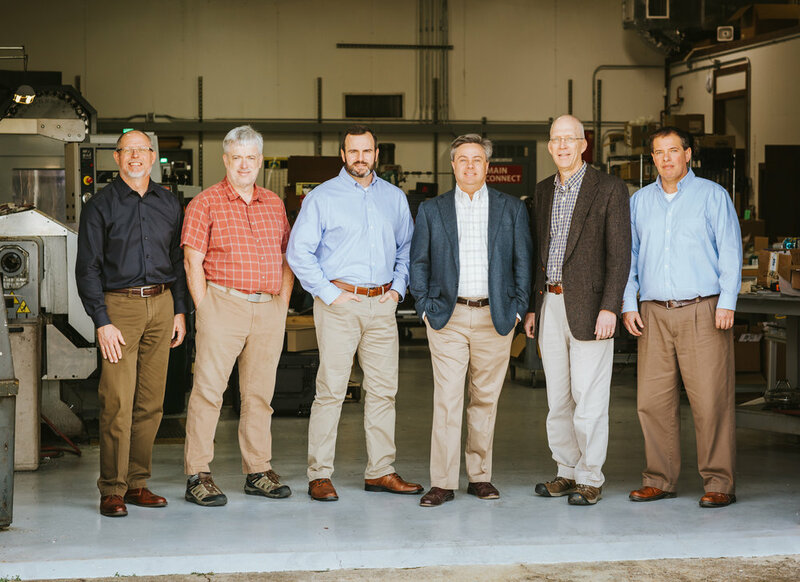 He and his co-founders continue to ensure Hyperion’s involvement and commitment to the community by investing their time and resources into the next generation of engineers and entrepreneurs. They participate in technology and engineering fairs for all levels of education, from kindergarten to college. They mentor new businesses that incubate through the RCFI and work with local inventors and creators to help grow their ideas into reality. They work with local non-profits to promote entrepreneurship and small business and maintain an internship program to expose college students to engineering and research and development. As Hyperion continues to grow, there’s no doubt that their “people first” legacy will stay strong and ultimately ensure even greater achievements than they can imagine. The team stays inspired knowing that they are designing products that protect people, and they are empowered and challenged to constantly innovate. With that as the mission, the possibilities are truly limitless.